The other day I took a journey back in time. 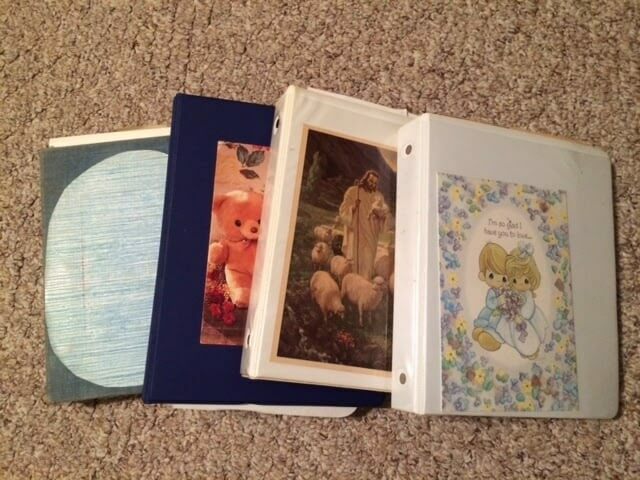 While searching the attic for a book, I stumbled on a Rubbermaid tub full of my old prayer journals. I plopped right down amongst the bird droppings on the plywood floor and began to reminisce about times gone by. I started keeping a journal when I was around 13. As I read my scrawly writing I was reminded of many things that are so easily forgotten – the births of my younger siblings, young heartthrobs, and schoolgirl spats. As I continued on through the years I read about old boyfriends, meeting and marrying Dad, and giving birth to each of you children. Through the years I recorded joys and sorrows written as prayers to the Lord. Early on I got in the habit of writing in red the answers to prayers that God had given. I was so encouraged to look back and read the faithfulness of God to a young girl and woman over the past 40-something years. Over and over God told the children of Israel to remember what He had done for them. He delivered them from Pharaoh, brought them out of Egypt, opened a path through the Red Sea, and led them through the desert. He humbled them and tested them to see what was in their hearts and to prove whether or not they would keep His commands. God does the same thing for us. Each experience He brings into our lives is to see if we will be faithful to Him as He is faithful to us. The best way to pass the next test is to remember how He helped us through the last one. That gives us hope and encouragement when the going gets tough. That is why I love prayer journals. They are a running record of all God has done and they help us to remember God’s blessings and help in times of trial. So many prayers, so many answers, so many more to come – forty years and counting. If you don’t have one, now would be a good time to start.